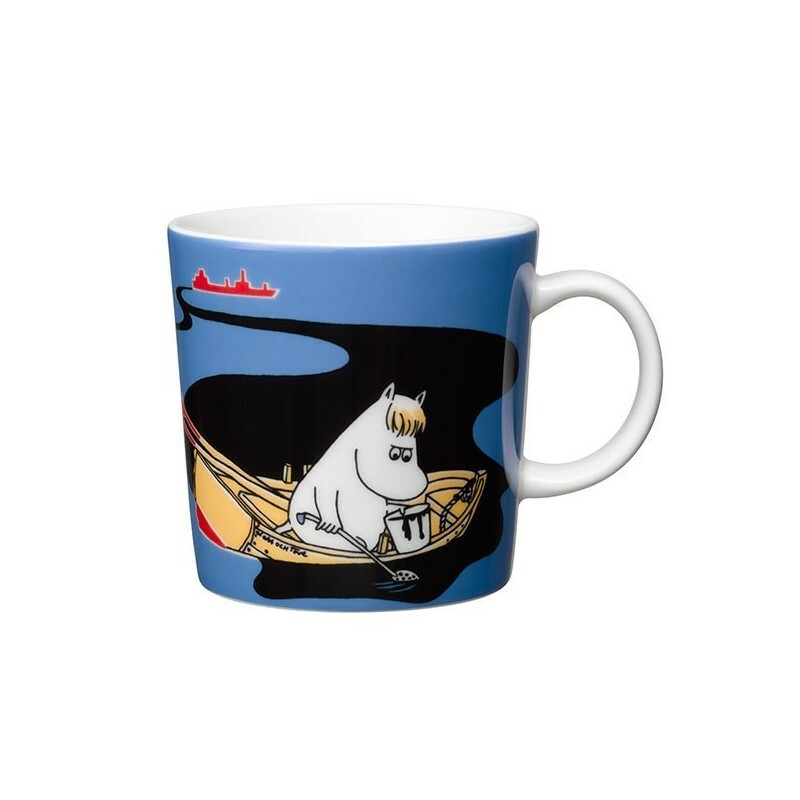 The blue Håll Sverige Rent Moomin mug, Our coast, is exclusively made for the Keep Sweden Tidy / Håll Sverige Rent campaign. The mug is only sold in Sweden and in some web shops. The mug holds 3 dl, is made in Thailand and produced by Arabia. In the 70s, Tove and Lars Jansson produced several Moomin posters, exclusively for the Keep Sweden Tidy Foundation, for the campaign “Saving the Baltic Sea”. By purchasing this blue mug as well as the pink Keep Waters Clean mug and other HSR products (trays, coasters, dishcloths and posters) you contribute to the foundation’s work to spread knowledge to school kids and parents about the environmental effects of littering.